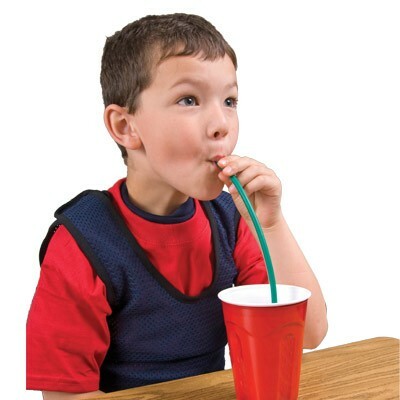 Gnaw Straws are perfect sipping straws for kids (or adults) who need a lot of oral motor activity. 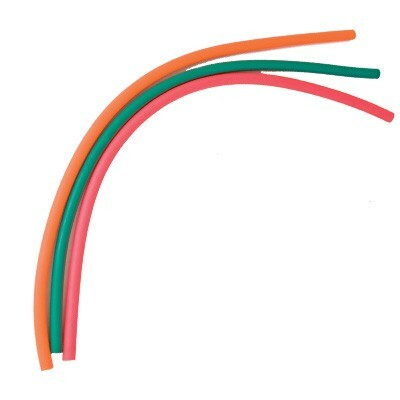 These chewable straws are made of soft, chewy and flexible tubing. You can use them for drinking, blowing, sipping, chewing, biting or fidgeting. 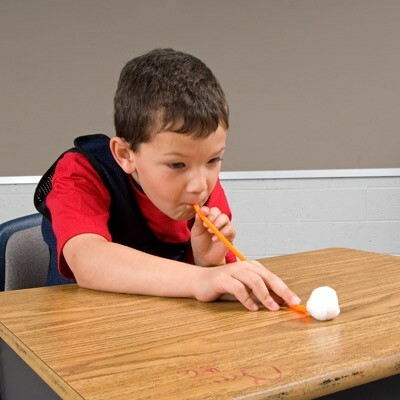 To use Gnaw Straws to strengthen your blowing and sipping skills, try placing a cotton ball at the end of the straw and blow to move it across the table. Inhale to bring the cotton ball toward the straw. Use your Gnaw Straws to blow bubbles and work on oral motor skills too. A great warm up for the jaw as well before eating. And best of all, Gnaw Straws can double as a fidget. Just tie them into a knot, or hang them from a backpack. Three 12" straws in each pack. 1/4" diameter. Assorted colors. . Hand wash with mild soap and water. Adult supervision recommended. Made in the US. Contains latex. Age 4+.